The Rotel RP1000 features a 4-pole, synchronous drive motor to maintain revolutions at exact speeds. The belt-drive system enhances noise free rotation with simple but precise mechanical construction. A heavy and durable aluminium, die-cast turntable platter assures maximum stability and minimum wow and flutter. The long, S-shaped tonearm of the RP1000 is statically balanced and made for perfect lateral placement and accurate tracking. The tonearm is fitted with a professional headshell that will handle any type of cartridge with precision, and a magnetic cartridge with diamond stylus is included. 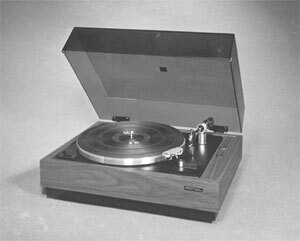 Rotel RP1000 / RP-1000 owners manual, service manuals and schematics are for reference only and the Vinyl Engine bears no responsibility for errors or other inaccuracies. The PDF files are provided under strict licence. Reproduction without prior permission or for financial gain is strictly prohibited. This website is not affiliated with or sponsored by Rotel.